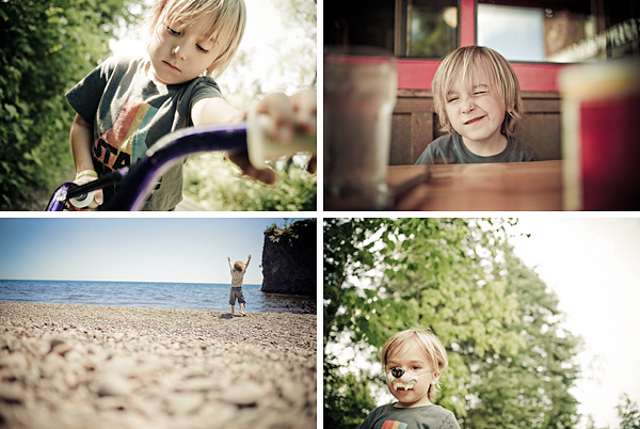 Earlier this summer my son Wesley and I took our third annual 4-day trip to Ely, Minnesota including a drive along the shore of Lake Superior. I describe these trips as our "Thelma and Louise," get-aways. Privacy has always been at a premium and seems even more so these days with the ever-present electronic devices gracing our personal space. 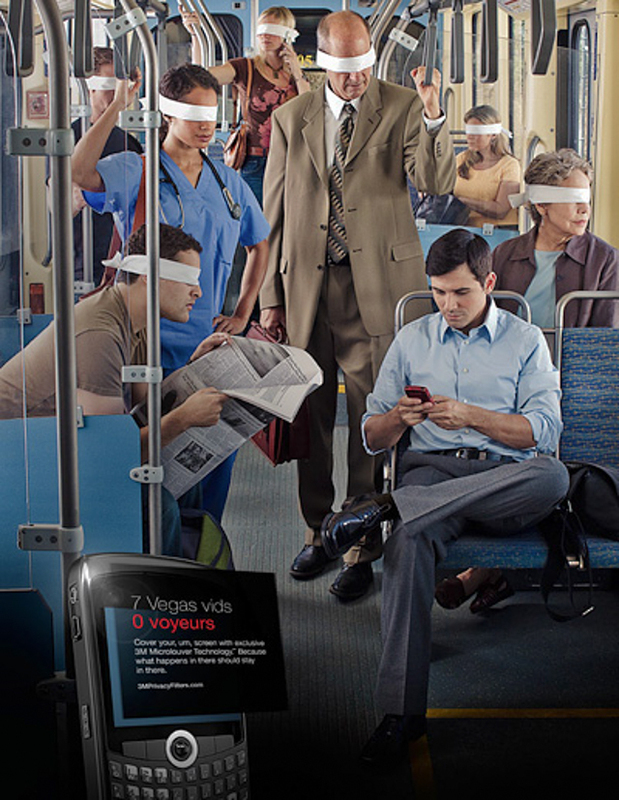 Borrowing from the principles of a polarizing filter for photography, the new flexible, slim, film-like "Privacy Filter" fits over a cell phone or computer screen and was the recent subject of two ads created for 3M via Gage. The privacy filter allows the user to see what appears on their device and thwarts the gaze of onlookers by allowing light to pass through in the direction of the user and turning dark when viewed at any slight angle. In doing so, this keeps others from potentially seeing something unintended for them. We set up one scenario on a light-rail car to depict a typical commuter setting. 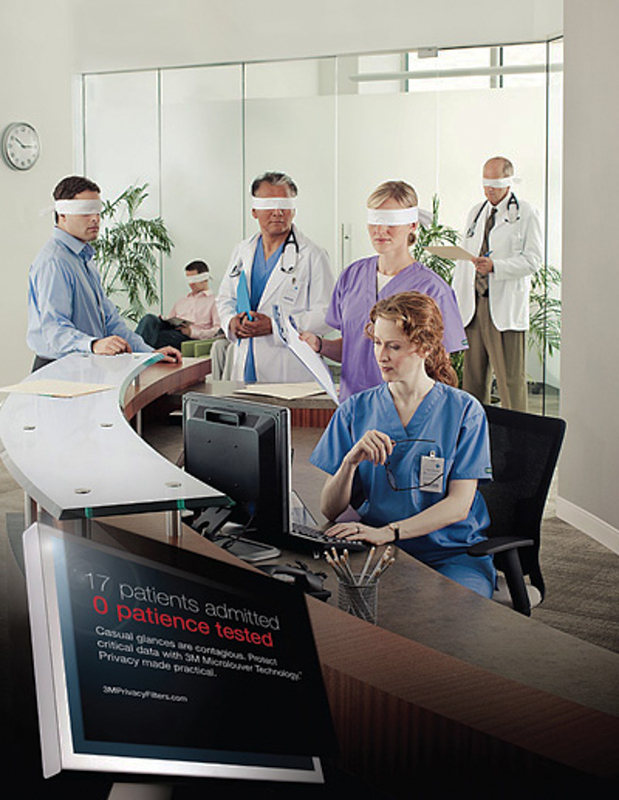 For the second scene we used a medical office lobby to demonstrate the necessity of privacy and the efficacy of the screen filter. After a full day of lighting, adjusting the blindfolds on the talent, and shooting the product in use, it’s safe to say the images convey the overall message associated with using the privacy filter. Always something different... Another interesting shoot with a great crew and agency / client to collaborate with. My wife and I recently set out on our bikes from our doorstep in Minneapolis, pedaling to Duluth and the shore of Lake Superior over a three-day weekend; a little a break, sans kids, in the good ole' summer time. Riding a total of 192 miles we traveled amid constant rain for the majority of the trip. The weather finally eased for the last leg leaving a shroud of mist and fog over the landscape before us. At this point we were riding along an old railroad bed, converted to a paved path named the Willard Munger Trail which travels from Hinckley to Duluth. According to the MN DNR the Willard Munger is the longest paved trail in the world. Whether it still holds that claim or not it's a beautiful ride through one of the most scenic areas of Minnesota, one I'd certainly recommend and gladly repeat. 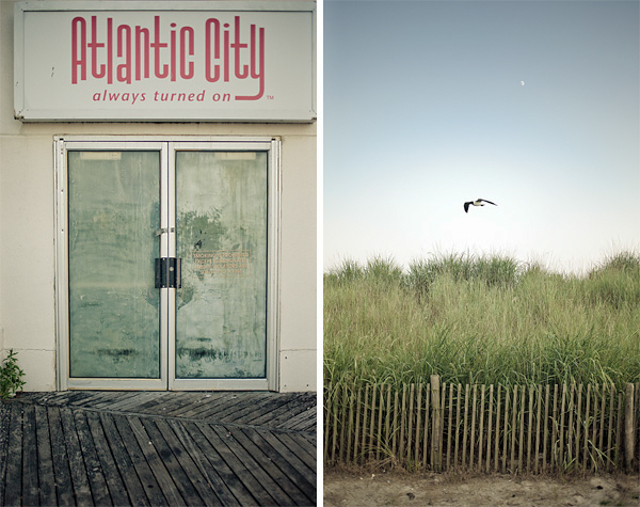 "Ocean, emotion, and constant promotion," is how Time magazine described the location of my most recent shoot--Atlantic City. The project for Bauer via Olson kept us far from the water most of the week, but upon wrapping we headed straight to the legendary Boardwalk. First built in 1870 as a means of keeping sand out of hotel lobbies, the concept bloomed and has been an integral part of the east coast, and New Jersey lore ever since. Flanked by saw-grass and sandy beach on one side, and an array of decaying small shops on the other, it doesn't appear that a whole lot has changed if you ignore the more modern casinos / hotels towering overhead. It certainly appears "Always Turned On," and it wouldn't be what it is if it wasn't a bit rough around the edges.